At the moment, Audi is on the brink of some very big debuts. But the biggest is probably the Audi e-tron, the brand’s first ever fully electric vehicle and the beginning of what could be a massive shift at Audi. Another big car on the way is the upcoming Audi S8, which will be the performance variant to the brand-new A8. Both of which were just caught testing at the Nurburgring and they both were going very, very quickly. When we see the Audi e-tron, it’s hustling quickly through some of the ‘Ring’s corners. Which is surprising, as you don’t often see electric cars being pushed to hard on racetracks, for the sake of their battery life. But Audi seems dead set on making sure the e-tron is a genuine performance machine. 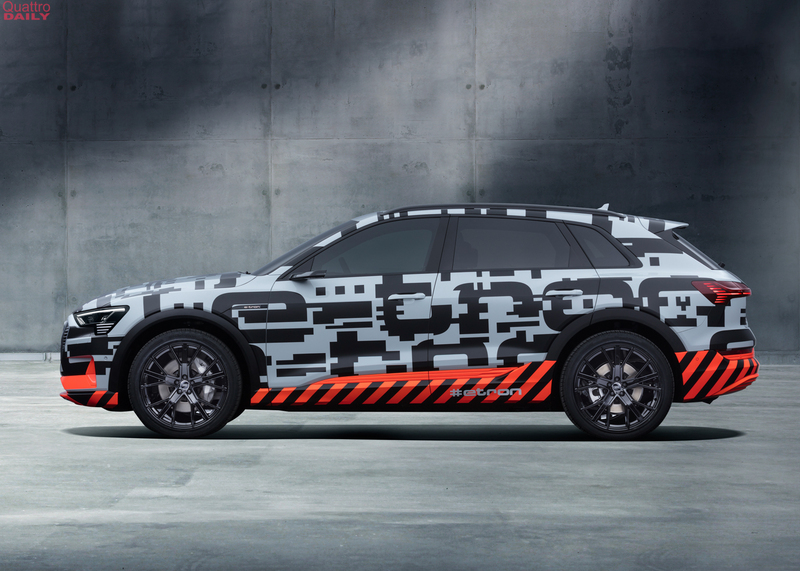 In fact, Audi insists that the e-tron will be an emotional car, one that you’d be excited to drive everyday, and not just some electric transportation appliance. Taking it to the Nurburgring is a good place to start in making such a car. The next car we see is the upcoming Audi S8. Seen without any significant camouflage, the car we see in this video is absolutely an S8. It looks like an angrier A8 and it packs quad exhausts at the back, the latter of which is a key indicator of it being an ‘S’ badged car. Oh, and it gets sideways multiple times throughout the video, which is really surprising coming from a massive, all-wheel drive sedan. Typically, Audis understeer and push wide. The Audi S8 apparently gets tail-happy. Which is a very, very good thing. There was also an unknown Audi Avant shooting around the ‘Ring in this video. We’re not sure what it was, because it was wrapped in heavy camouflage and you can’t get a good look at it in this video, but we’re going to guess either and Audi S6 Avant or RS6 Avant. Most likely the S6 Avant, as that’s closer to launch but never say never. This spy video is absolutely worth a watch because there are a few good Audis you get to see tackling the most difficult track in the world, as well as some other really cool cars. A BMW 8 Series Convertible, Mercedes-AMG GT and what seems like the new Porsche 911 GT3 were all caught in this video as well. Check it out.